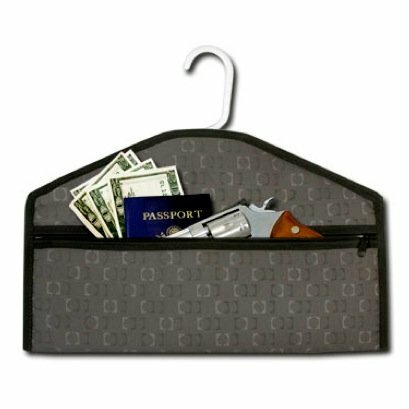 This is one of the most clever products designed to hold guns, money, passport and other valuables. Just place your valuables inside, put a coat, jacket or sweater over it and hang in your closet. Perfect for boats, RVs, traveling, etc. If you have children in the house and keep a gun in your hideaway, please make sure it is unloaded and/or made safe. Fits most standard plastic and wire hangers (hanger not included). Great place to stash valuables at home or while traveling. Case is lightly padded with quilted interior, heavy-duty fabric exterior. Generous 18" wide pocket will fit documents (9"-12" height). Made in the USA, COLORS WILL VARY due to manufacturer. If you have any questions about this product by Ace Case, contact us by completing and submitting the form below. If you are looking for a specif part number, please include it with your message.